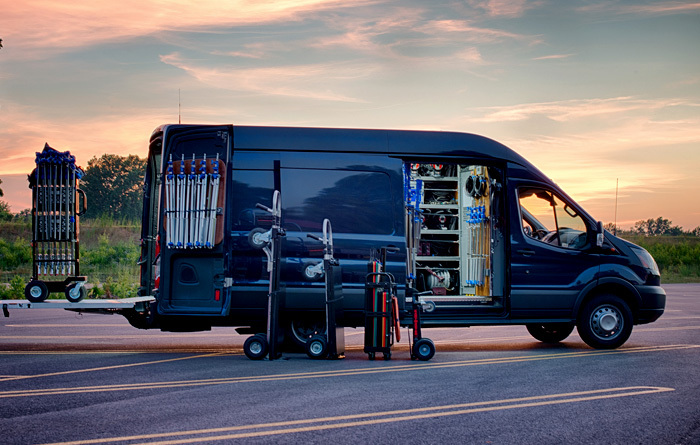 Our grip and lighting truck and van packages are the meticulously designed and maintained. 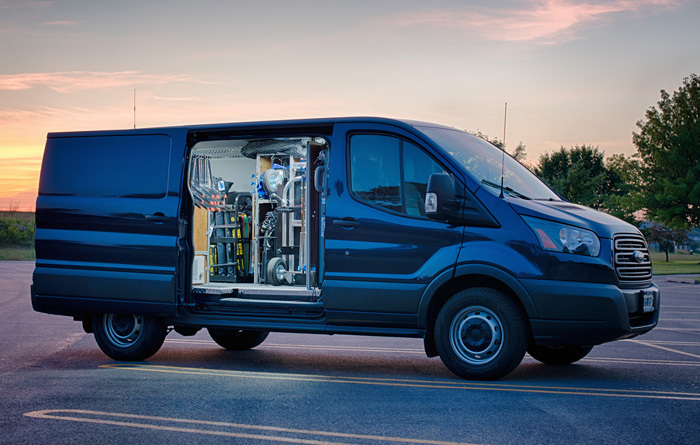 Each van and truck has been custom designed from the ground up with features like LED lighting, custom racking, built in production radios, AC/DC power and heated cargo areas. Trucks and vans can be rented with the included preloaded lighting package or as grip only with a customized lighting package. We offer the latest lighting technology from manufactures like Arri, Kino Flo, Mole Richardson, Lite Panels, Quasar Scientific, and Lite Gear. Give us a call for your next production and try the best lighting and grip packages in Chicago.